I know it’s a week after Saint Patrick’s Day, but Irish stew shouldn’t just be eaten one day a year! Irish stew is the perfect dinner to serve your family anytime of the week, and depending on how you make it, you can have it ready faster or slower than you’d like. Because it’s a hearty meal, Irish stew is perfect to eat on a cold evening or when you just need comfort food. 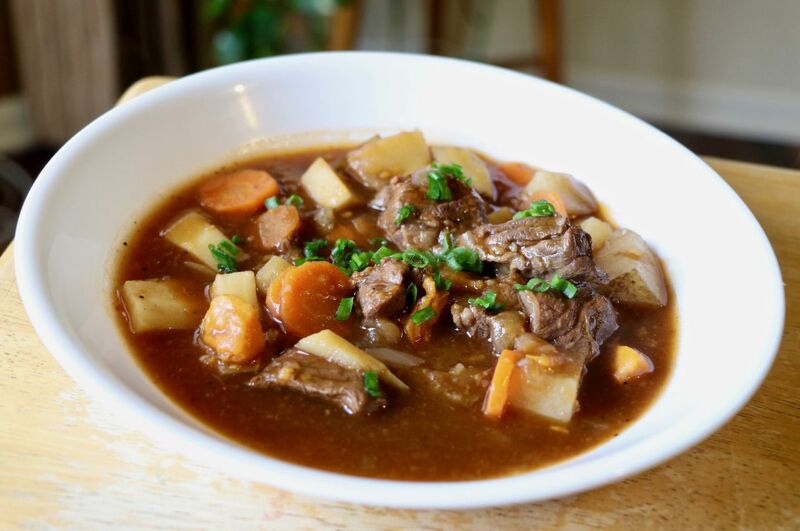 This version of Irish stew is one I make a few times a month for me and my boyfriend, and I hope you enjoy it. In a large dutch oven, begin searing the lamb in a splash of olive oil, making sure to season with salt and pepper. When halfway done, add the onions to the pan and cook until translucent, then add the garlic. Pour in the broth and bring to a boil before letting the meat simmer for about an hour or until tender. Add in the rutabaga and simmer for another half an hour, and then add the potatoes and carrots and let cook for 20 minutes. Once all vegetables are tender, add in the celery and whiskey and stir. Once the celery cooks, add in the peas and corn, and stir the flour through. Let the stew reduce until the sauce reaches the desired consistency and then adjust for seasoning.